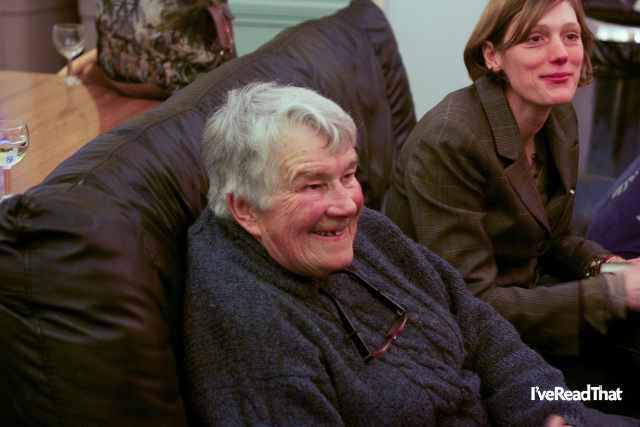 Dervla Murphy was born on 28 November 1931 of parents whose families were both settled in Dublin as far back as can be traced. Her grandfather and most of his family were involved in the Irish Republican movement. Her father was appointed Waterford County Librarian in 1930 after three years internment in Wormwood Scrubs prison and seven years at the Sorbonne. Her mother was invalided by arthritis when Dervla was one year old. She was educated at the Ursuline Convent in Waterford until she was fourteen, when, because of the wartime shortage of servants, she left to keep house for her father and to nurse her mother. Dervla did this for sixteen years with occasional breaks bicycling on the Continent. 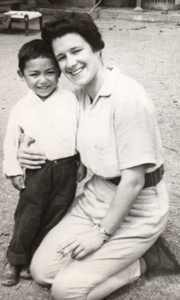 Her mother’s death left her free to go farther afield and in 1963 she cycled to India. There she worked with Tibetan refugee children before returning home after a year to write her first two books. Dervla Murphy’s first book, Full Tilt: Ireland to India with a Bicycle, was published in 1965. Over 20 other titles have followed. Dervla has won worldwide praise for her writing and has been described as a ‘travel legend’ and ‘the first lady of Irish cycling’. 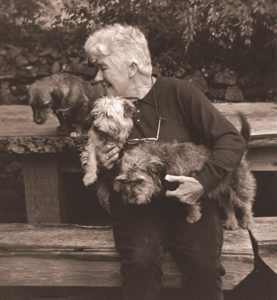 Now in her 80s, she continues to travel around the world and remains passionate about politics, conservation, bicycling and beer. Dervla is now published by Eland. My daily routine starts at five. I have a big breakfast and, depending on the season, I take the dogs out. In the summer I swim in the river. I spend the day writing. I go to bed early, about 9.30pm or so. I don’t pace myself to have a set word count. When I’m between books, I love to have friends to stay in my home. That, for me, is a holiday . . .